A series of interlinked considerations of the connection between storymaking and identity. "In our tradition, people do not simply speak the world into being. What we say is intricately intertwined with what we are and can be. To the Cherokee people, all things in the world have a voice -- and that voice carries life. Storying gives shape to meaning"
In this groundbreaking work of creative nonfiction, American Book Award winner Diane Glancy juxtaposes personal essays, Cherokee myths, and imaginative sketches to explore her experiences as a Native American mixed-blood coming to terms with the fragmentary nature of her life. 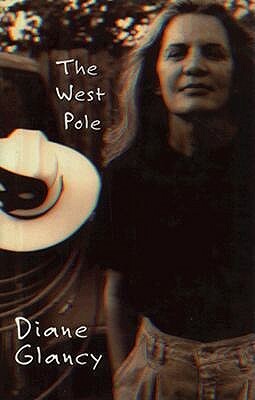 The West Pole is a book about storymaking; in it, Glancy explores the ways the structure of Native American storytelling reflects and shapes her own sense of identity. Through words, she creates and re-creates herself, her world, the traditions of the Cherokee people from whom she is descended. What is the West Pole? Something not there unless you believe it is -- destinations taken on faith. "The country growing older. The century. Myself. The browning of America. Multiculturalism.... The instability of the economy. The End of the Trail. All of it". These are among the places she takes us by way of "storying", the Cherokee way of recording their struggle across the moving landscape of their lives. Glancy herself has moved, circling back on her history, the history of the Cherokee people, and our history as a storied nation. Genealogy, school, Native American novels, Minnesota Public Radio, television, exercise bikes, Christmas gifts, autumn leaves, snow, a painting by Pissarro, a flight to Chicago, movies and photo albums: These are some of the occasionsand objects that trigger Glancy's meditations, that become milestones on her journey.